Whether you are flying, boating, driving or trekking, one thing is for certain, you want the right amount of options with your clothes with the least amount of luggage. Some smart shopping prior to packing is the secret key to a worry free and easy holiday. After careful consideration of the climate of your destination and thinking about the activities you envisage yourself doing there, lay some piles out of the essentials so you can see where you fall short. We usually always holiday in a sunny or resort style destination and my usual holiday days are spent by the pool, moving on to a restaurant or bar, some exercise, a few adventure filled activity days and some high end restaurants so the need to keep my packing versatile is a must. Besides the usual suspects (underwear, pj’s, exercise top,shorts,joggers) I ensure my other pieces can always be multiuse. For example, my shoes will usually be a nice pair of sandals rather than thongs, this means that I can slip them on for the beach, wear them down the street shopping or team them up with evening wear for a relaxed yet dressy night out in a resort. Keep them fine in shape and either leather in a simple tan or black or with a small wedge and some bling features - They will look great with your swimwear in the day or your silk dress at night. A couple of playsuits can take you everywhere. I find playsuits invaluable on a holiday - they are practical and easy to pull on but can be dressy when you need them to be. Make sure you are buying quality so they pack well and don't need ironing, and given the right care, you will love them across many holidays in years to come. Teamed up with sandals or heels, playsuits are the perfect getaway outfit all in one - they take 2 seconds to pull on and they look amazing. I always pack a few nice silk pieces, I find anything from the Camilla or Milea range always finds itself into my suitcase - they are light as a feather, take up almost no room at all and can be converted into many shapes making them suitable for day and night. They are also fun and bright and look amazing in all those gorgeous holiday snap shots on Facebook. An easy breezy beach kaftan goes a long way on a holiday - super easy to throw on when you've had enough sun or for when the sun goes down and it gets chilly. They are easy and luxurious to wear full and long or chic and fun when tucked up into the sides of your swimsuit. Invest in a couple of new swimsuits- usually one is wet from the day before and there is nothing more icky than pulling up a damp swimsuit. Its also nice to have variety as there is always someone with a camera about and who wants to be wearing the same thing in every shot?? A good quality swimsuit will retain its shape and hold your body better than a cheap one. If your going to wear such a small item of clothing, why not buy the one that flatters your figure the most and gives you support in all the right places. Great options are available for all cup fittings including heavier DD,E,F and G Cup busts. 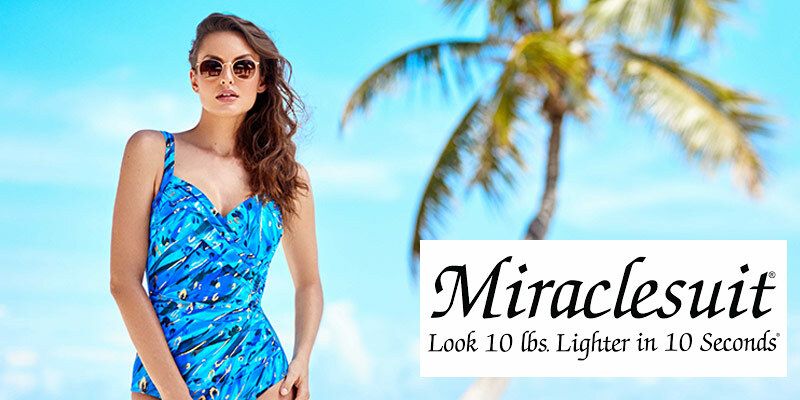 There are also slimming Miraclesuit styles and chlorine resistant styles if you love sitting in the heated spa! Its nice to take a couple of different shapes or mix and match pieces that you can change your combinations to suit your days mood. 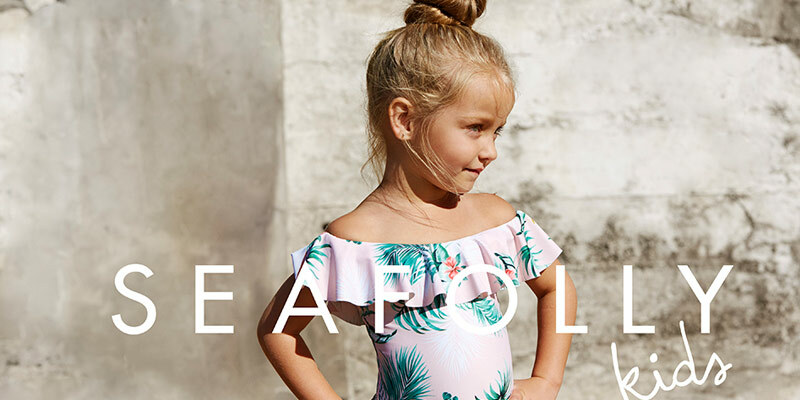 Lets face it, when holidaying somewhere sunny, we wake up in the morning, put on our swimsuit and a quick kaftan or playsuit over the top and head out for the days adventures. Take pieces you will wear each day and that don't need lots of care to look amazing. I always figure that if I forgot something, there is always usually a store close by that will sell it but the pieces Ive talked about here are my non-negotiables buy from home before I go. Don't make the mistake of waiting for your holiday destination before you shop for your swimsuit or everyday clothing pieces- they will always be more expensive on holidays, you risk not having the correct sizing or fittings and Its bound to be a beautiful sunny day and you’ll be hunting the shops rather than enjoying the sunshine. Bonyoyage, safe travels and have fun!